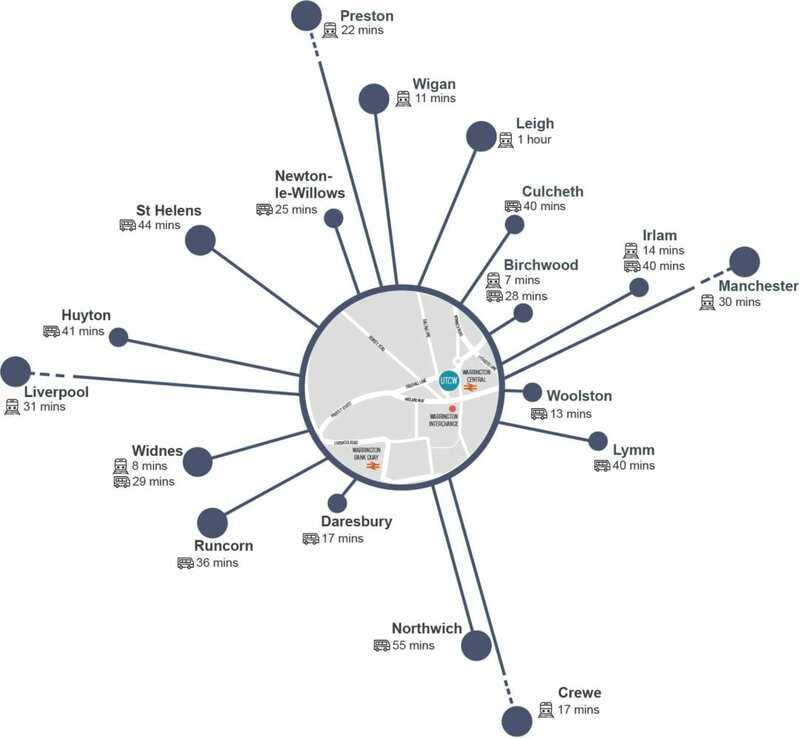 UTC Warrington is located on Dallam Lane, in Warrington Town Centre, providing us with excellent transport links nearby. Warrington Interchange is located a few minutes from the college building. The interchange is served by local buses from across Warrington and other operators serve areas including St Helens, Widnes, Irlam, and Liverpool. The UTC is located opposite Warrington Central. This station is served by trains between Liverpool and Manchester via Widnes. Warrington Bank Quay is on the West Coast Mainline and is ten-minute walk from UTCW. This station has connections to Earlestown, Crewe and Wigan. UTC Warrington has no dedicated car park. If you are travelling to the college by car, please use one of the nearby pay & display facilities which are located next door to the UTC building. There is no designated drop off point outside the college building. Please use alternative drop off locations (Winwick Street/Warrington Central) to avoid Dallam Lane becoming congested at peak times.